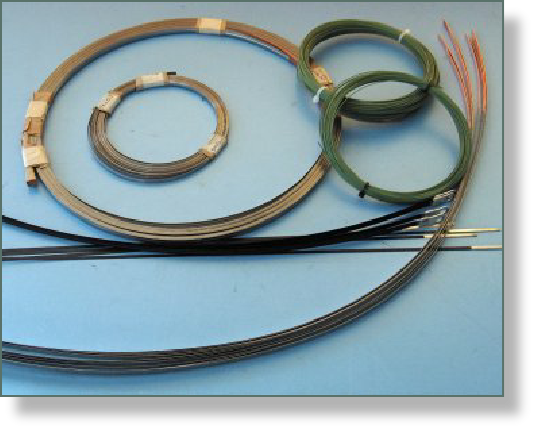 Seal wires with a PTFE coating are available in thickness/diameters 0,5 0,7 and 1,0 mm..
Seal wires with silver or copper plated ( necessary for a better contact ) ends and in any type and form. Also we can supply the Sickenbands , with T-profile and end connectors. Choose the version you need, and we can supply it in any length you require. We give short delivery times and deliver at reasonable prices. Looking for something special don’t hesitate to send a email ! I will be glad to help you.